Here are some of my new styles for fall. 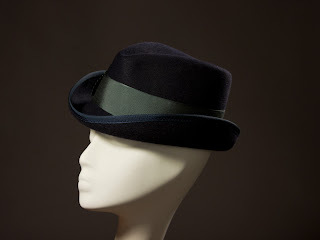 More coming soon. 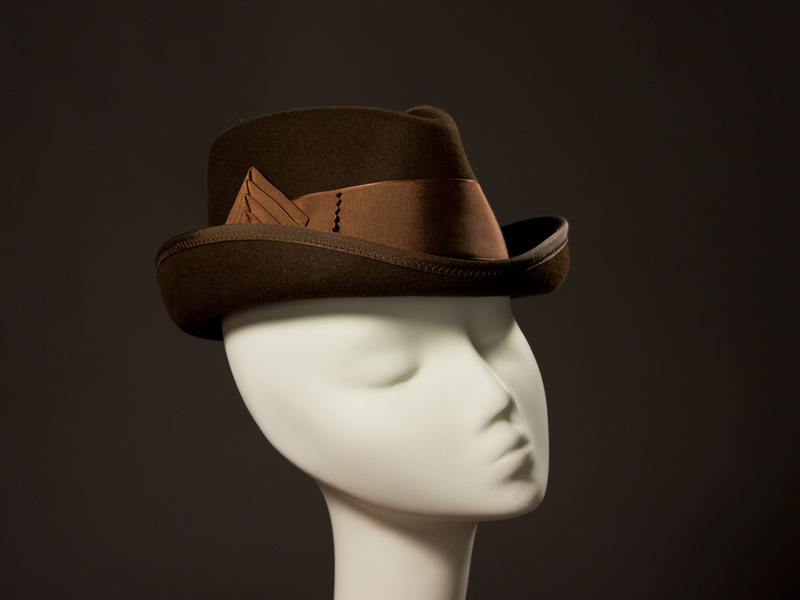 'Drake' is a smallish fedora, in five color combinations. 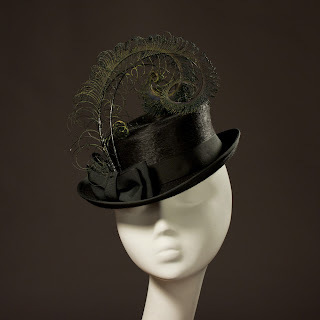 The popular 'Yvette' mini top hat in long-nap felt and hand-curled peacock feathers. 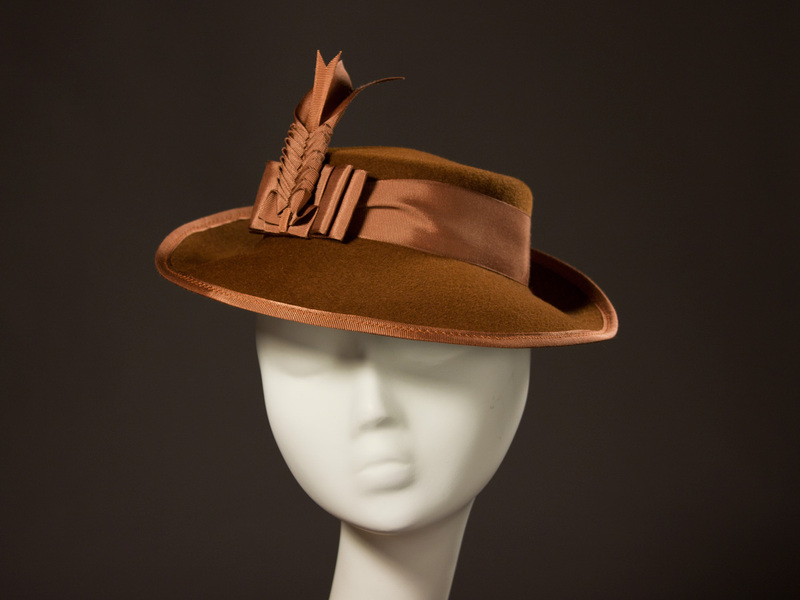 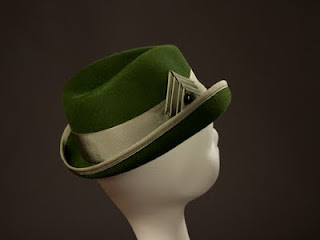 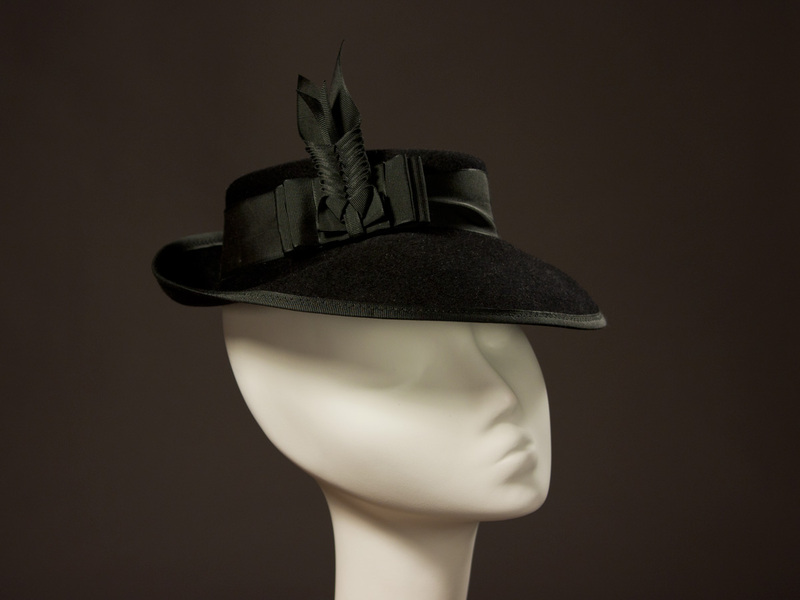 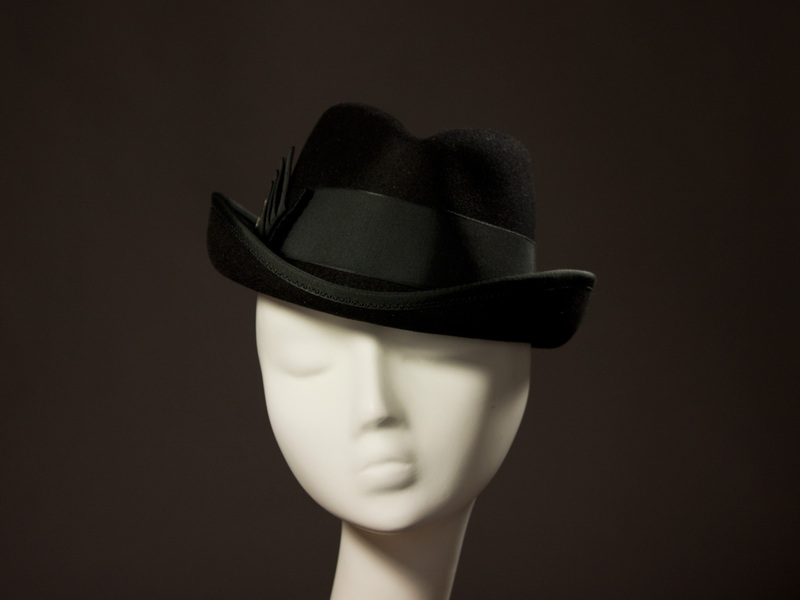 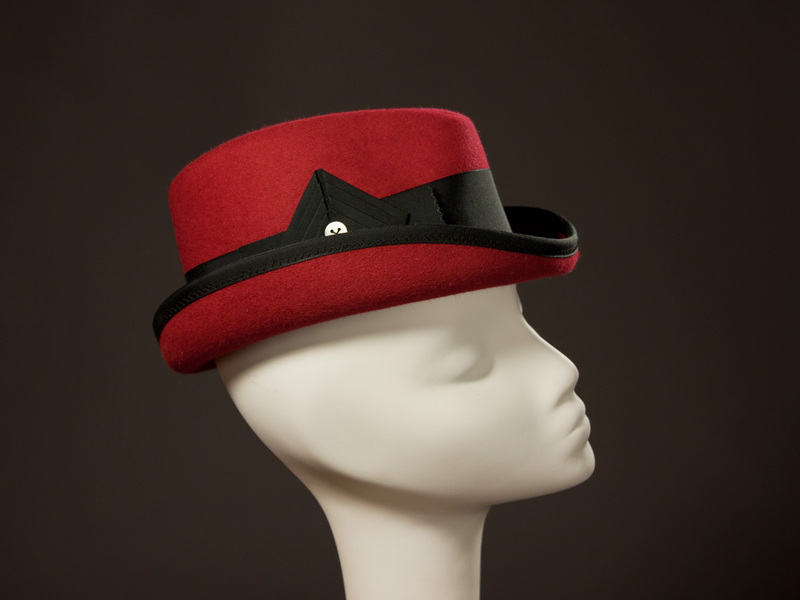 'Bacall' is a vintage-inspired ladies hat with fancy ribbon trim. 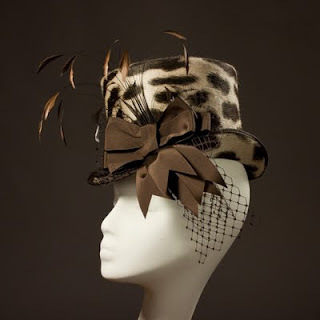 'Wellington' now in leopard print long-nap felt and chocolate brown ribbon trim and feathers.